Our founders represented the cornerstones of the UK wine and spirits trade, and representatives from each of these organisations continue to serve on our Board of Trustees. As recognition grew for WSET qualifications we realised there was a demand beyond the UK for quality education in wines and spirits. In 1977 WSET expanded access to qualifications abroad, by launching courses in the Republic of Ireland. And in the same year we launched WSET qualifications across the Atlantic, with the International Wine Education Guild (IWEG) in Ontario, Canada, becoming the first North American provider of WSET qualifications. By the end of the 1990’s WSET qualifications were available in the UK, Europe, the USA, the Middle East and Asia. In 2007 international students taking WSET exams outnumbered UK students for the first time. In 2016 we opened our first international office in Hong Kong to serve our growing Asia markets. Today WSET qualifications are available in over 70 countries in more than 15 languages, through a network of 700+ course providers, and students outside the UK represent over 75% of WSET candidates each year. Throughout our history our foremost priority has been to provide best-in-class education and qualifications to inspire and empower the individuals who take our courses. To that end our qualification suite has evolved over time to reflect the changing needs of the industry. From just three qualifications in 1969 our suite of qualifications has grown to nine with dedicated programmes now available in spirits and sake. In 2001 we became an accredited Awarding Body with the first of our qualifications becoming recognised by the UK government. Our qualifications continue to be updated on a three year cycle to ensure their relevance to students and industry. 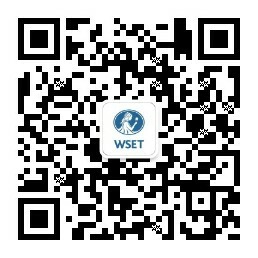 WSET launches courses in France. WSET remit is changed and courses are opened to students who do not work in the wine and spirits trade. The first German language WSET Diploma course is held in Austria. WSET holds the first WSET Diploma course in Australia. WSET is accredited as an Awarding Body with the first of our qualifications becoming recognised by the UK government. Our three qualifications are renamed, in-line with the UK National Qualifications Framework guidelines. WSET relocates its headquarters to Bermondsey Street, London Bridge, UK. International candidate numbers exceed UK candidate numbers for the first time. Qualification names are updated to bring them in-line with the UK academic levels. WSET significantly revamps the Level 1 Award in Spirits and the Level 3 Award in Wines.